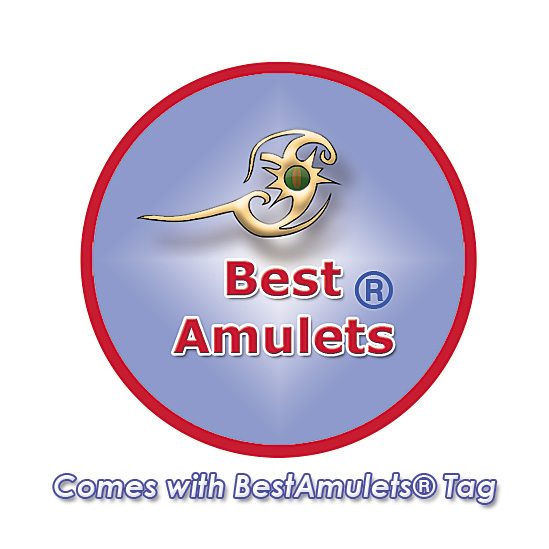 Best Amulets® Collection. Unique Lucky Coin Shaped Charm Medallion with Adorable and Cool Evil Eye Protection Flames Charm. 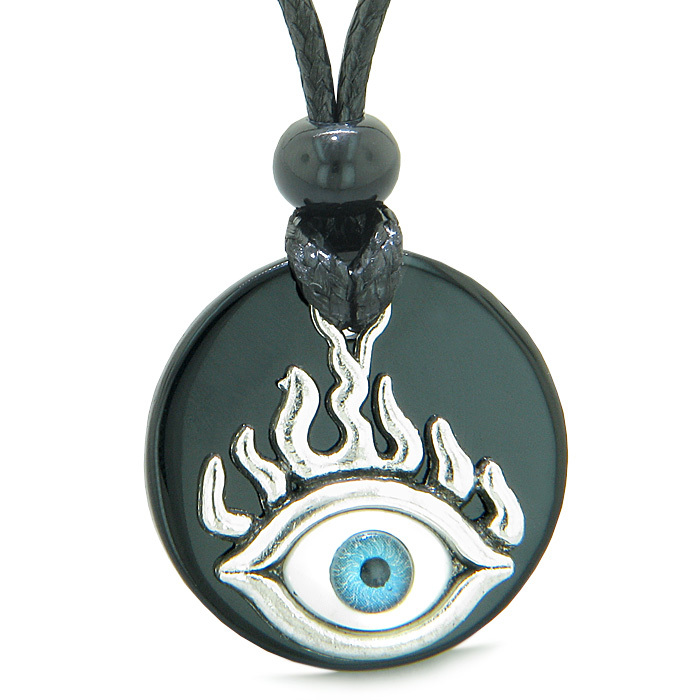 Medallion is Made with Silver-Tone Base Metal and holds Cute Evil Eye Accent. Ready to wear with High Quality Cotton Waxed Cord which Adjusts from 15 up to 24 inches long and you may wear it any length you desire. 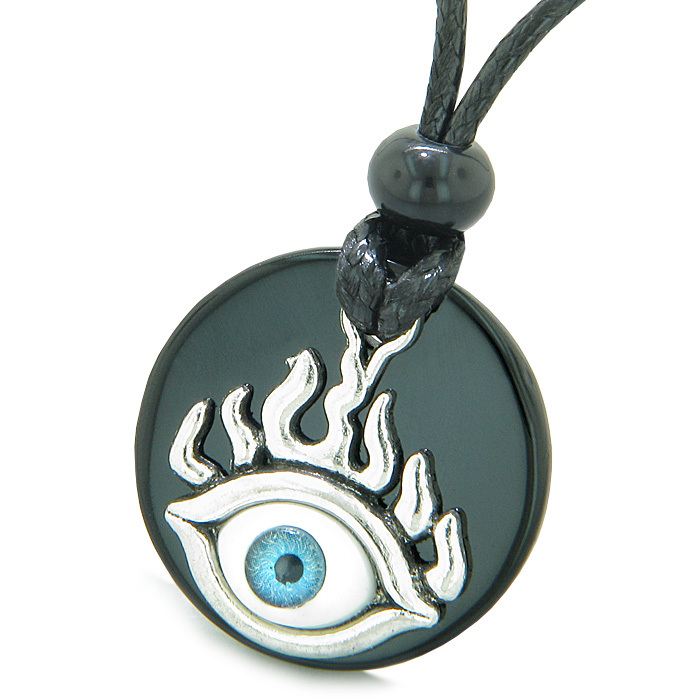 Absolutely Unique and One of the Kind Lucky Coin Shaped Medallion with Silver-Tone Evil Eye Protection Flames Charm. Medallion is made from Genuine and Natural Black Agate and makes is Absolutely Special and One of the Kind. 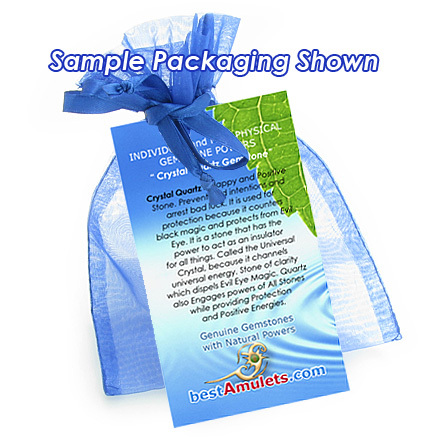 This Amulet represents Magic Powers of Good Luck and Protection Powers and makes it Individual Good Luck Charm Amulet. Black Agate Gemstone stands for Metaphysical Properties of Spiritual Protection, Good Luck and Positive Energy. 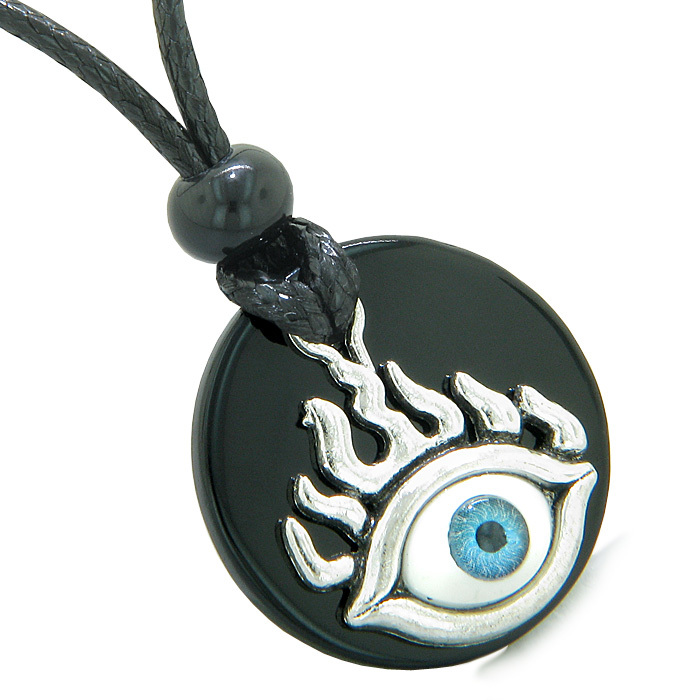 Stay Unique, Special and Attractive with your Own Individual Evil Eye Protection Flames Amulet.